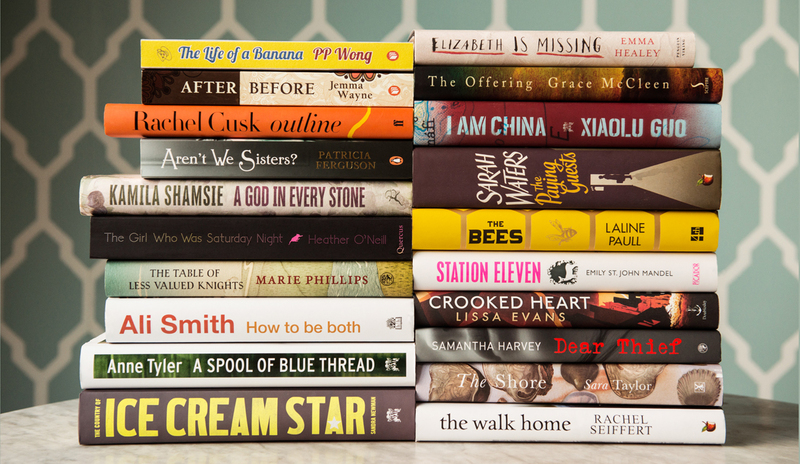 The shortlist of six finalists for the Baileys Women’s Prize for Fiction was announced today in London. The prize is the UK’s only book award for fiction written by a woman. The five judges have selected Outline by Rachel Cusk, The Bees by Laline Paull, A God in Every Stone by Kamila Shamsie, How to Be Both by Ali Smith, A Spool of Blue Thread by Anne Tyler, and The Paying Guests by Sarah Walters. The finalists were chosen from a longlist of 20 books. The major surprise of this year’s shortlist is the omission of the much-admired Station Eleven by Emily St. John Mandel, which many amateur prognosticators tapped to win the award (it was a finalist for the National Book Award). Samantha Harvey’s Dear Thief also has many fervent supporters. The judges will now choose a winner, to be announced at an awards ceremony at Royal Festival Hall in London on June 3. Although Tyler and Waters are both perennial favorites, I was surprised to see both of them on the short list as there were so many other strong contenders on the long list. I was surprised by their presence as well. I think there might have been a desire to reward Anne Tyler for this strong book so “late in the game” when she is perhaps taken for granted and thus to remind people that she is one of our best authors. Waters might be a little overrated. I expected to see Station Eleven and possibly Ice Cream Star or Dear Thief on the shortlist. It’s also interesting to see that The Shore by American Sara Taylor was longlisted but has received virtually not attention in the U.S.